Deepesh is an associate of the firm. His major areas of specialization include aviation, foreign direct investment, M&A, commercial arbitration, immigration and corporate compliance. He has experience in drafting contracts relating to share purchase, joint venture, aircraft purchase, aircraft leases, commercial leases and legal due diligence. Marriott in connection to various trademark and IP law matters. Leading business group in negotiation of GSA agreement with a major airline. Broadcasting service provider in acquisition of a cable TV service operator. Various domestic airline companies in negotiating purchase agreements for aircraft. Various dispute resolution matters involving aviation law and foreign investment. Due diligence involving mining and hotel companies. Diplomatic missions in respect of immigration compliance. Deepesh has graduated with a five year B.A. LL.B. degree from Nepal Law Campus of Tribhuvan University. 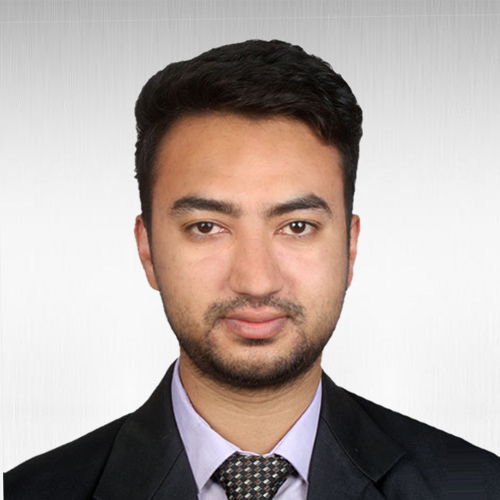 He is licensed as an Advocate by the Nepal Bar Council and a member of the Nepal Bar Association.